BYKY prides itself on drawing smiles on the faces of children and families everywhere. 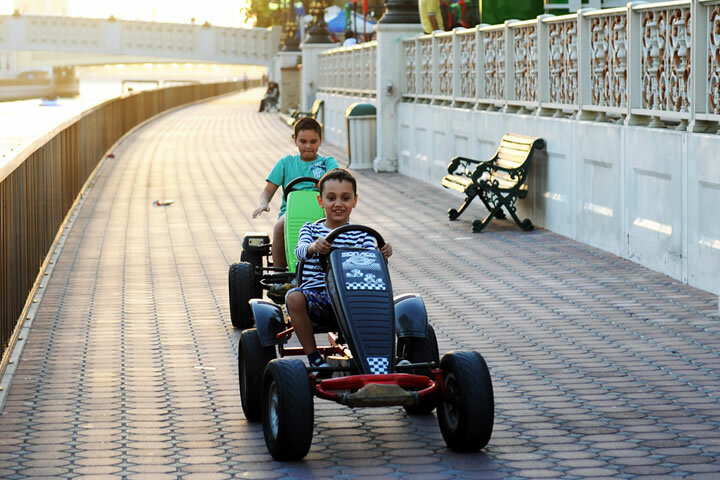 Rent a Go Kart and take a trip around the walkways of Al Qasba with friends and family. 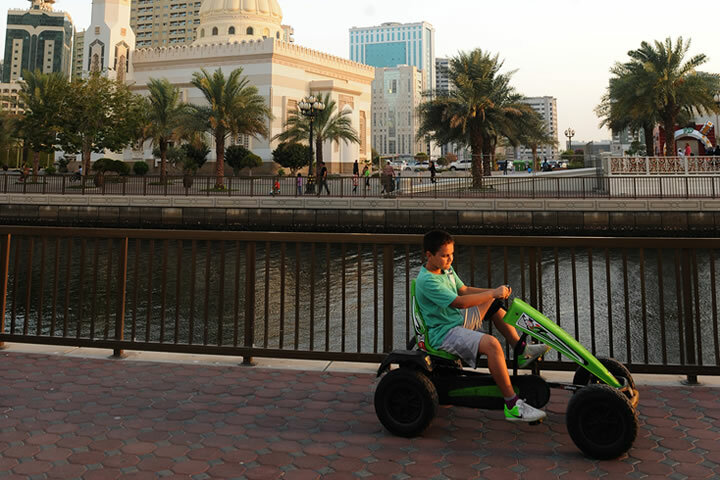 Safe, easy to operate, and great fun, BYKY’s Go Karts provide a great way to explore Al Qasba. For inquiries please email info@q8byky.com. Saturday – Wednesday: 4:00 p.m. – 11:30 p.m.
Thursday – Friday: 4:00 p.m. – 12:00 a.m.